Join the National Academy of Medicine on July 14 in Washington, DC as it hosts the first meeting of the Action Collaborative on Clinician Well-Being and Resilience. This public meeting provides an opportunity for the public and invited experts to provide feedback on the direction of the collaborative, and will highlight research and examples of promising approaches to promoting well-being. 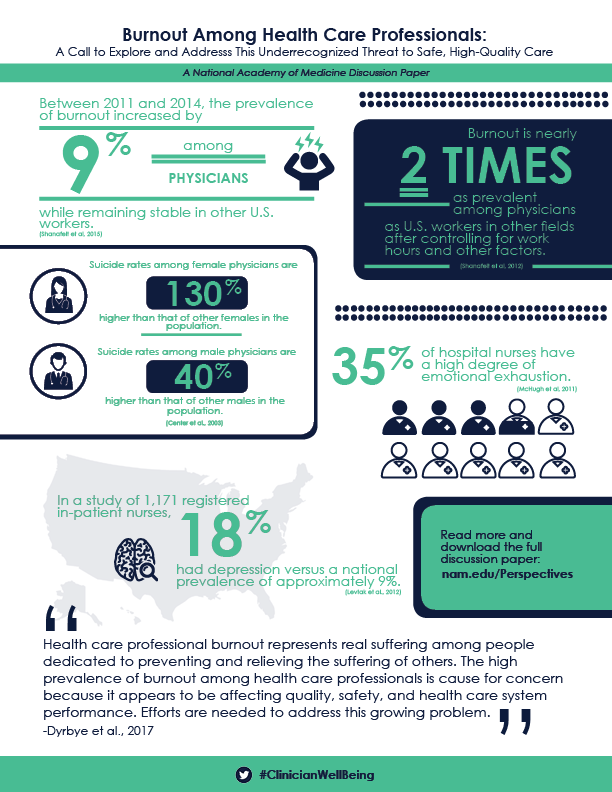 To learn more, please visit nam.edu/ClinicianWellBeing. Sign up to our listserv to receive updates.